Sometimes 55 inches just isn&apos;t enough. TV viewers are expecting bigger, more impressive displays than ever, and the fleet of high-spec 65-inch televisions hitting the market are set to satisfy that. TV makers tend to save their best processing and panel technology for the truly big screens too, so if you&apos;re investing in a 65-inch set, it&apos;s likely you&apos;re getting the best the company has to offer. The massive screen size will be a problem for some – not to mention the price tag that usually come with it. But if you want to know the very best 65-inch TVs from the likes of Samsung, LG, and TCL, we&apos;ve put together our extensive list of the top ten 65-inch TVs current available to buy. Most of the sets below will have launched last year – 2019 has barely started, after all – though new models arriving throughout the coming year. If you can&apos;t wait for a new model or a price drop on any listed below, then go ahead. But if you want to get the very latest bigscreen tech into your home, we&apos;ll be updating this guide as new market-leading TVs are released. If a 65-inch TV is going to be far too big for your home, then take a look at our top pick of the best best 55-inch and best 40-inch TVs instead. Not only are there upcoming new models to consider, but there’s also the monster size. After all, a whole 65 inches of TV display won&apos;t fit well into every home (and won&apos;t fit at all in some). So if 65-inches is a little too big, then go down to a 55-inch TV. That way, you can save yourself some money by sacrificing some screen size real estate. But assuming you’ve done the math and the measurements and a 65-inch TV will a) fit into your home and b) not break the bank when you buy it, then there’s still a lot to consider. But don’t worry, we’re here to help you figure out which 65-inch model is for you. The sets in this list give you a wealth of choice at the popular 65-inch TV size, but as we&apos;ve said, sometimes a lot of choice gets confusing. That&apos;s why we&apos;re here to try and help you answer the question: which one is right for you? Currently, our favorite 65-inch 4K TVs are LG&apos;s series of OLED TVs, boasting exceptional black levels and premium HDR in the form of Dolby Vision. On the other hand, they aren&apos;t the best option for brightly lit rooms. If your living room&apos;s ratio of windows to doors is too high, you might want to consider Samsung&apos;s QLED TV series for your 65-inch 4K TV purchase instead. In comparison to the LG mosels, these are bright and colorful, and pack in technology that helps them cope with overly bright environments. Of course, Sony TVs come with both OLED and LED panels, and you can&apos;t go wrong with these either – so you really are spoilt for choice when it comes to picking out the best 65-inch TV set. Don&apos;t forget 60-inch TVs either – we haven&apos;t highlighted any in particular in this list, but you still get a decent-sized set, all the benefits of a 4K resolution, and the usual set of smart TV features too. Oh, and they&apos;re cheaper. As you consider what you can afford, how bright your room is and where it&apos;ll look best in your living room, let&apos;s take a look at our favorite 65-inch 4K TVs right now. Each one in this list has been tested and approved by our expert team of reviewers, so you can make a well-informed decision. The big question this year for 65-inch 4K TV buyers with money to spend is QLED or OLED? QLED is Samsung&apos;s LCD-based screen tech, while LG makes not just the panels for its own OLED TVs but the other makers too. An OLED like the OLED65C8 is hard to beat for a cinema-like environment. This 65-inch TV actually has much better contrast, and probably color, than your local cinema screen. It uses WebOS software too, which just about the best smart TV interface out there in our humble opinion. Cinematic images, smart software and slick design – what more could you want? Well, as you&apos;re asking, Samsung&apos;s QLED TVs are much brighter (which does wonders for HDR), and their motion handling is a little better too. However, for the image quality fundamentals of color and contrast, the LG OLED65C8 still wins in our opinion. This TV is so high up our list for its practicality, though. 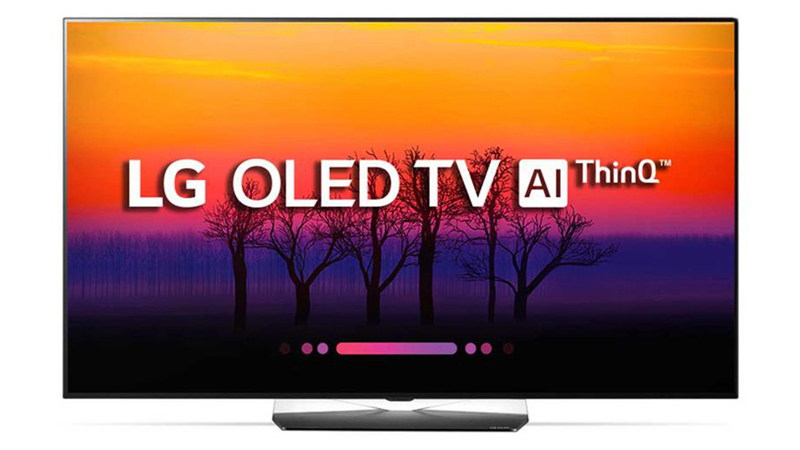 It costs less than other OLEDs, or Samsung&apos;s top QLED, which makes it our top choice. The Samsung 65Q9FN deserves bold statements, so here&apos;s one: this is the best LCD TV we&apos;ve ever seen. It might be the best TV to date for some. Sure, it may not be perfect, but this is the closest you can get to a 65-inch TV that has it all. Its HDR images are amazing, and its upscaler engine makes content of almost all resolutions look great. 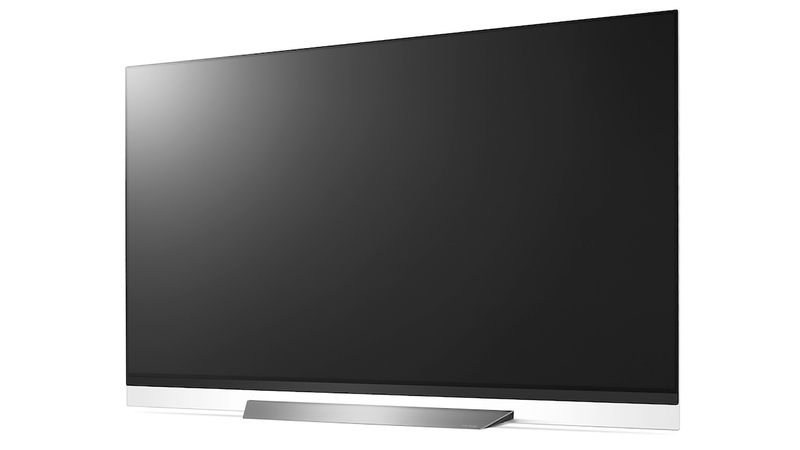 The Samsung 65Q9FN uses direct LED lighting to avoid the halo-ing seen in older LCD TVs, while delivering blacks that, in most conditions, don&apos;t look too far off those of an OLED TV. Even the sound is the best that we&apos;ve heard from a Samsung TV in years, so it&apos;s a strong all-rounder. In perfect cinema-style conditions you&apos;ll see deeper blacks from an OLED though. Sony&apos;s latest TVs have more advanced motion handling, and image quality does take a hit at an angle, so keep that in mind. However, you can&apos;t do any better at the moment if you want ultra-bright HDR images, as well as great contrast. The Panasonic TX65FZ952B is perhaps the classiest OLED TV around – it comes with a clever soundbar, but detach it and the TV looks restrained and minimal. The soundbar also has a mammoth 12 drivers, for audio actually worth listening to. Picture quality is fantastic on this 65-inch 4K TV set, edging out LG&apos;s models with better handling of areas of shadow, which can look a little noisy in the LG sets. Not so here, however. On the downside, there&apos;s no Dolby Atmos or Dolby Vision processing, which seems a shame when the audio and visual sides are otherwise so strong. The price also needs to be considered. 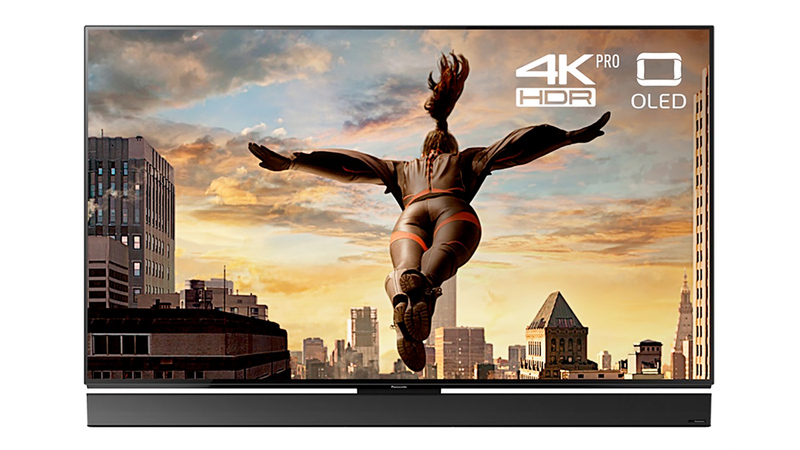 At several hundred dollars (or pounds) more than the LG C8 or Sony KD-65AF8, you had better appreciate the extra magic Panasonic has put into this 65-inch TV&apos;s processing and calibration. The LG OLED65E8 is similar to the LG C8 you&apos;ll find above. 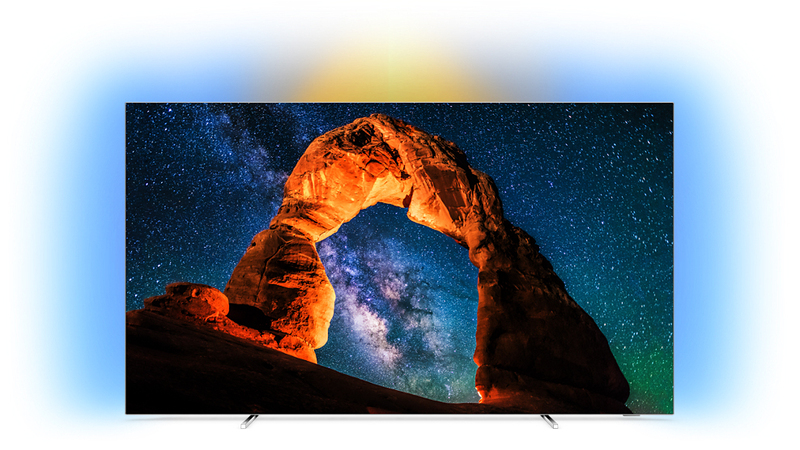 But why is it lower on our list of the best 65-inch 4K TVs? Let us explain. This is the premium alternative to the C8. It has a better speaker system and a more impressive-looking &apos;floating&apos; stand design. However, underneath the gloss and audio improvements, you get more or less the same TV, with the same Alpha 9 processor. The OLED65E8 is a few hundreds dollars/pounds more expensive than the C8, so think carefully about whether the upgrade is worth it. We use a surround sound speaker system with the TV, so the benefits of the improved drivers are minimal. There are nowadays a handful of choices if you want a 65-inch OLED TV. Sony, Panasonic and LG all make them, and each offers multiple options. In some ways the 65-inch Sony KD-65AF8 is the best of the lot. Its processing is excellent, making SD and HD look better than the LG competition, and this is largely down to great upscaling algorithms. Its motion handling is excellent too. And when you add that to the vivid color and flawless contrast of OLED, you&apos;re on to a winner. Be prepared for some frustration, though, because the Android TV software is awkward and prone to crashes (it&apos;s made us want to snap the remote a few times in the past). 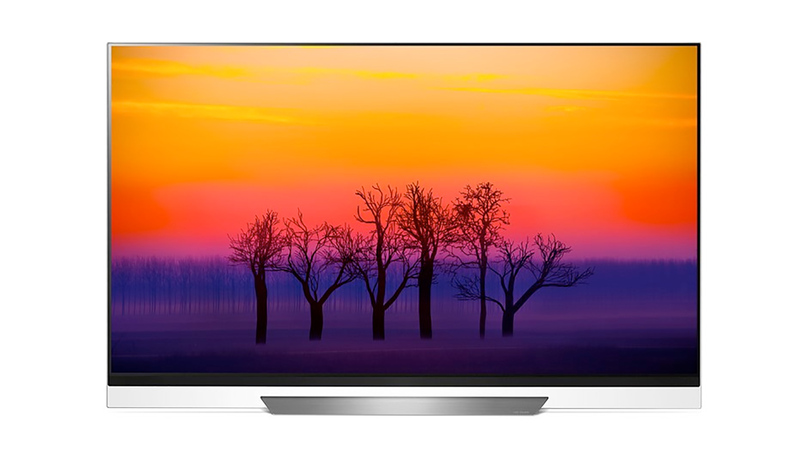 Like other OLEDs, the Sony KD-65AF8 can&apos;t go as bright as Samsung&apos;s latest QLED TVs either, making HDR look a little less potent. The Sony XBR-65X900F was one of the first 65-inch 4K TVs of 2018, taking over from 2017&apos;s Sony XBR-65X900E. Improvements include greater brightness, which improves HDR performance, and even better motion handling. In fact, we doubt you&apos;ll find smoother motion handling on any other set. Image quality is also fantastic, with great black depth and insight – even SD content looks good. As this is an LCD you don&apos;t quite get the perfect blacks of OLED, but it gets as close as LCD can. Like previous Sonys, the Sony XBR-65X900F uses Android TV, which can be frustrating at times. However, it does give you access to masses of apps, games and streaming services. Sound quality has improved too, although this TV&apos;s speakers won&apos;t, of course, make an action movie&apos;s explosions shake your floorboards. In the UK this 65-inch TV set is known as the KD-65XF9005. Do you have serious money to spend? No other 65-inch 4K TV makes the visual impact of the B&O BeoVision Eclipse. It has a motorized stand that tilts the screen to match your viewing position, and it has an oversized, ultra-loud sound bar built into the frame too. The B&O BeoVision Eclipse stands on the floor, not on a TV stand or perched on the wall (though there is the option to wall mount it). B&O teamed-up with LG to produce this set, so you get roughly the same image quality and the same software as one of LG&apos;s top-performing OLEDs – that means stunning contrast and flawless black levels. Sure, a high-end LCD has higher brightness and more powerful-looking HDR, but the cinematic look of OLED is hard to beat. And the price? At $15,595 (£10,795, $19,990) this is the most expensive TV on our list of 65-inch 4K-capable sets. It&apos;s not for everyone, but is a piece of striking living room furniture as well as one of the best TVs around. If you have the money to bankroll them, the 65-inch 4K TV 65A1E – and the A1E OLED series overall – are crowd-pleasers in just about every way. Their &apos;picture only&apos; design has been beautifully realized, managing to be simultaneously subtle and dramatic. Meanwhile, their vibrating screen delivers a far more powerful and effective sound performance than we&apos;d ever thought possible. The real stars of the show here, though, are the A1&apos;s exquisitely detailed, contrast-rich and colorful pictures. These prove emphatically what we&apos;ve long suspected: more brands using OLED technology can only lead to good things for TVs in general. 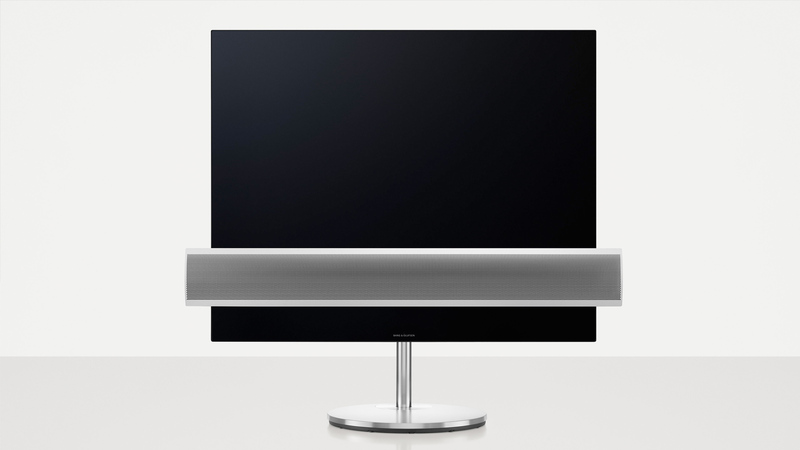 In 2018 Sony has replaced the A1 with the BRAVIA A8F, but the only real difference is the stand design. If you find this TV at a great price, jump on it, as it&apos;s still one of the best 65-inch TV sets on the market. If OLED displays seem too expensive, LG might just have your plan B. The LG OLED B8, like the OLED B7 before it, offers a great entry point into the OLED display technology. It&apos;s exactly the same OLED panel as the more advanced W8, C8, or E8 televisions from LG, so even if it&apos;s the runt of the litter, you&apos;re still getting some serious OLED contrast levels at more affordable price. The B8 has stuck with last year&apos;s processor while the rest of the family get an upgrade, but you&apos;re still getting a great base level of image quality. The body of the set has also been slimmed down to only 1.85 inches, seemingly without impacting on the sound quality from its built-in speakers. If you&apos;re looking to get a taste of OLED for a good £200 / $200 less than the C8, the B8 is still an example of great image quality and gorgeous design. Get on that OLED ladder. There&apos;s no doubt in our minds – the TCL P6-Series was hands down the best budget TV of last year in the sub-$1,000 price range. It made our Best TVs of 2017 list, as well as our Best 4K TVs of 2017 list, alongside OLEDs from Sony and LG, and QLED TVs from Samsung – all of which cost two, three, four or even five times as much as TCL’s budget-friendly series. If there was a downside to last year&apos;s models, one that could&apos;ve and should&apos;ve been fixed by year&apos;s end, it was the fact that the TVs were limited to one size – a paltry 55-inch screen. Worse, production couldn’t keep up with the heavy demand once word got out how spectacular those TVs were. 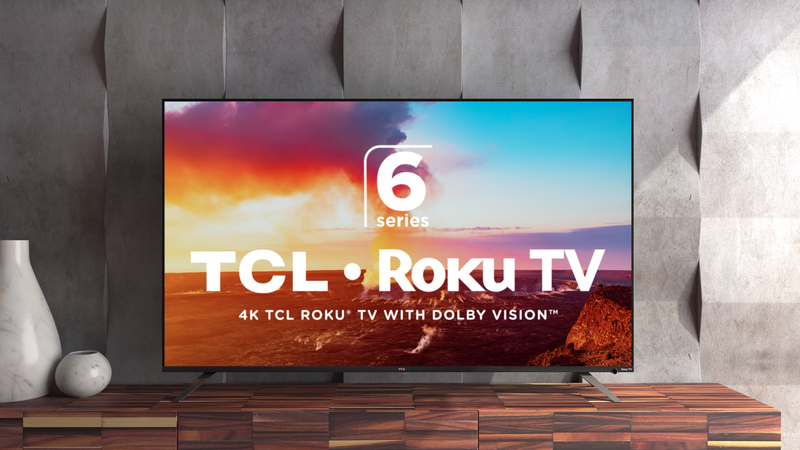 Thankfully that&apos;s all changed this year and the TCL 6-Series is now available in a gorgeous, affordable 65-inch TV size that not only looks phenomenal, but goes easy on your wallet as well for a 4K screen. 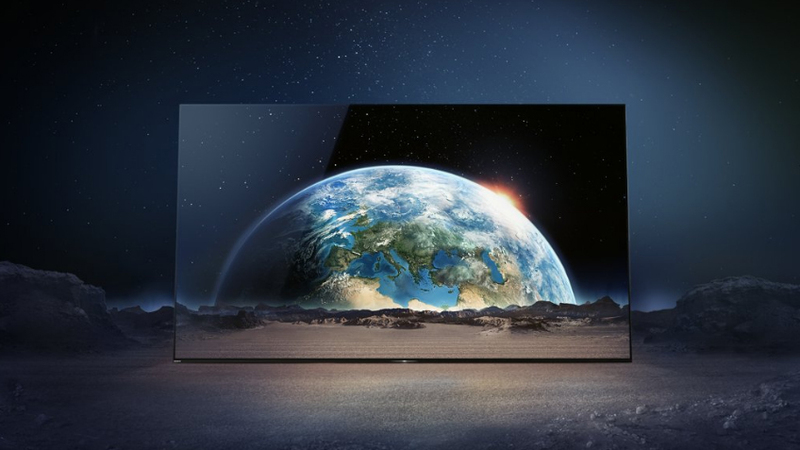 Philips has significantly upgraded the picture processing power of its 2018 OLED TVs, and the benefits of this new-found brawn can be seen writ large, with enhanced contrast and spectacular colors. The brand’s second generation P5 Perfect Processing Engine offers twice the picture processing power of the original, and that was a pretty impressive chip in its own right. 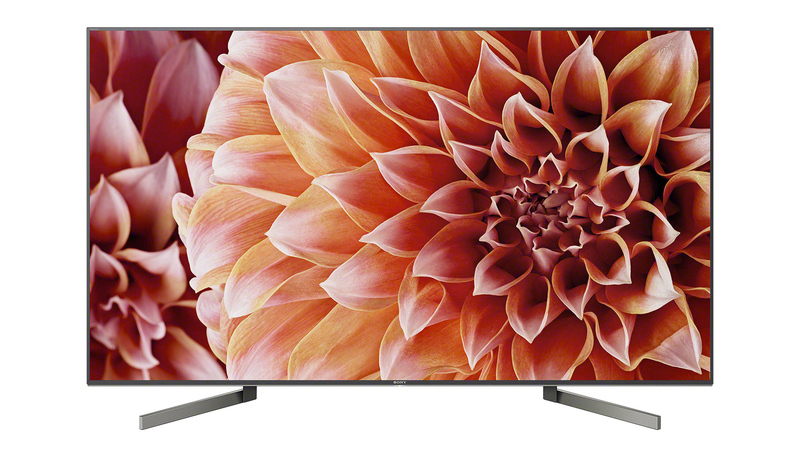 The effectiveness of Philips second generation P5 picture engine may sometimes be subtle with real-world content, but it gives this 65-inch TV set an edge when it comes to playing 4K or HD in SDR. Buyers should weigh the visual benefits against the minor irritations, like poor catch-up TV provision, just two full-spec UHD HDMI inputs, and the lack of Dolby Vision. The Philips Hue-compatible Ambilight room lighting system, and the promise of an early Android TV updates, however, might just balance the books. 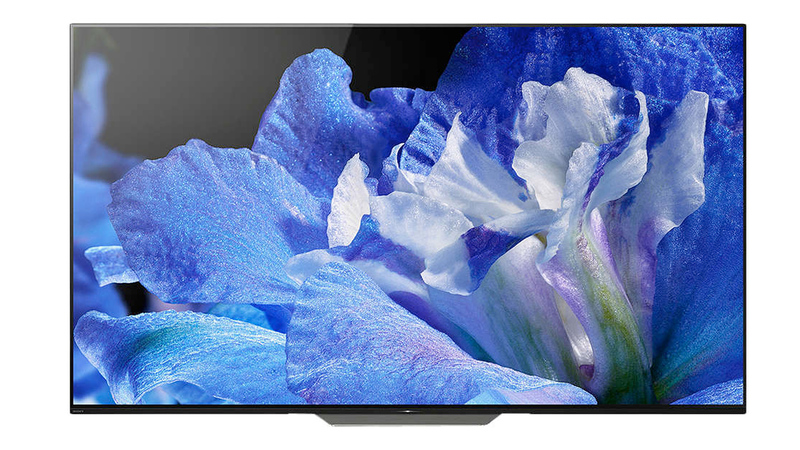 With a competitive price point for the technology on offer, the 803 is arguably Philips most compelling OLED proposition to date.